After you have decided that you want to remodel a room in your home such as your kitchen or bathroom, or even your entire house, it is important to go through a thorough process to find the best designer and contractor to do the job. Choosing the top result in Google when you search “home remodeling company ” or maybe deciding to use a business based on the first TV spot you see could have you regretting your decision for years. Not only could you lose money, but you could find yourself with a sub-par home remodeling experience leaving you with low quality materials and a design you don’t love. A thorough selection process can help you avoid this experience. Speaking with family and friends is a great way to get quality referrals. Maybe a neighbor or a family member has had a great experience with a local contractor. You can also take it to the professional level when looking for recommendations for a remodeler by talking to people at your local hardware store, lumber yard or if you have already chosen one of your other contractors, like a custom cabinet maker, ask them for their top recommendation. . Last but not least, check with with NARI (National Association of the Remodeling Industry) on recommendations they have for your area. Meet the your top 3 to 4 options in person at your home. Whomever you choose will be spending hours upon hours there and you want to make sure communication and comfort in the relationship are easy. Good contractors will leave a trail of happy home, bathroom, and kitchen remodels from previous clients for you to review. Contact as many as you feel is important to get a feel for their experience. Was the remodel completed on time? How were the workers behaved onsite? Was everything within the projected budget? With your top two or three choices to remodel your home, request they submit their bids, broken down into categories for materials, labor, overhead, etc. Most quality contractors will want to see the plans you have drawn up for your remodel and will also ask about your budget and personal expectations. These pieces of information will help them give you a more qualified bid. Home remodeling contractors often have varying payment plans and schedules for their clients. A reasonable schedule involves a small down payment and equal payments as the project moves along. Maybe 10% down, 25% when a quarter of the work has been done, another 25% when half the work is done, and the final payment upon completion. With that stated, don’t decide on who you will choose solely based on financial decisions. Trust your gut, the referrals, and the interactions you have had to really make an informed decision. Now that you have selected a contractor to remodel your bathroom, kitchen, or simply to update your cabinets, make sure everything you have discussed and agreed upon is in writing. With any unforeseen problems in the future, you will need to rely on the contract to support your agreement. Choosing a quality home remodeling contractor isn’t the most exciting part of remodeling your home, but it may be the most important. 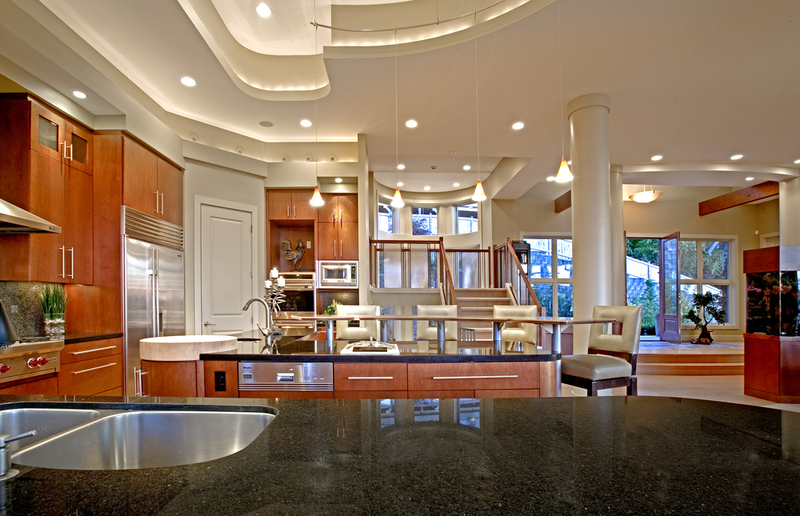 Whether you are planning a Seattle kitchen Remodel for your Puget Sound home or possibly adding a new addition that will hold your guests when they visit, in order to guarantee that you will get the remodel of your dreams, you must first do your due diligence. This entry was posted in Uncategorized and tagged choosing a contractor, how to choose a contractor, how to choose a remodeling contractor on March 12, 2014 by Seattle Kitchen & Bath Remodel Blog. I'm Jill and I'm a designer at heart, but took the long road to get somewhere where I could really plan, create, and share my passion. Now, 38 years into life, I have decided that it's time to prioritize what I love. I am still working part time in real estate, but the rest of my time is now spent learning. I am currently enrolled in an online program to become certified in interior design and in the meantime, I also work part time for a local remodeling agency, gaining valuable experience with hands on projects.